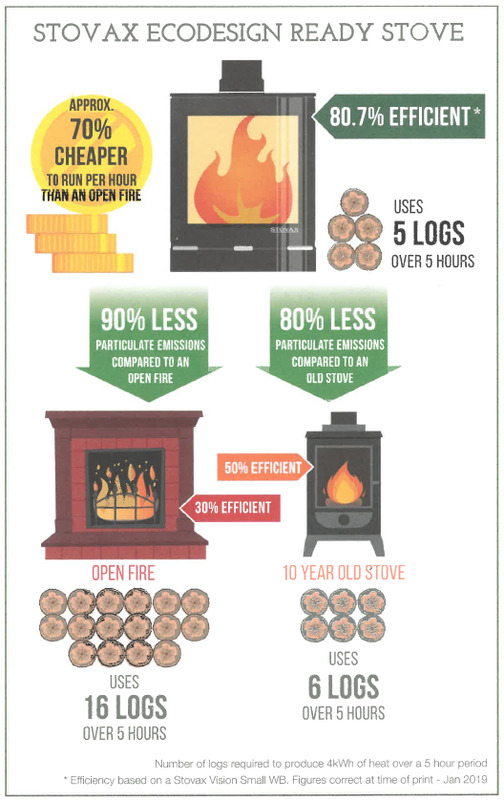 There has been plenty of news recently over the emissions from wood burning appliances. Tomkinson Heating have welcomed the recent news which helps to educate everyone in fire efficiencies. This post will help explain to new emission rules that are set to change in 2022. What are the new standards and how will they effect stoves? Our current emissions are set at a level from DEFRA. You may already be aware of DEFRA approved stoves, which are allowed to be used within a smoke control area on certain fuels. The new air quality emissions that are being introduced in 2022 half the current DEFRA emissions limit. This therefore enforces that all stoves sold from JAN 2022 onwards, have to meet this new emission limit or they cannot be sold. What about my existing stove? Any installations made prior to this date do not have to meet the new emission limit and will not need to be removed. However, if your planning to install a new stove, a new Ecodesign stove will save you money on fuel due to its efficiency. These stoves come with precision air controls that recirculate particles and wood gases inside the firebox allowing them to be burnt off before they can leave the chimney. How do I know which stoves are eco-design ready? You can easily see which stoves are ecodesign ready thanks to the SIA Ecodesign ready label. The Stove Industry Alliance's Ecodesign Ready Scheme independently verifies each stove to meet these emission targets. Want to know more about the stoves we offer? Contact our office and we can discuss your requirements. Due to our long standing place in the industry and accounts with the leading stove manufacturers, we have one of the largest ranges of Ecodesign ready stoves in the country allowing you to find your purfect style with the latest technology.